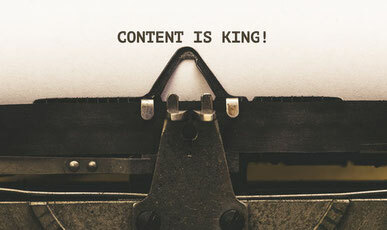 All great marketers know of the ever growing importance of content. Whether it is just to increase the SEO of your business, to showcase your company as an expert in the field or to engage with customers, content is key (not to sound cliquey). Once your valuable content is online how can you get it out there for all to see? - Influencers. If you aren’t a big enough influencer yourself pay influencers directly to spread your word for you. Of course you can’t be too careful with genuine influencers or ones with paid ‘likes’. See which ones have the best reach and use them again. - PR. PR doesn’t have to be expensive. Reach out to your customer’s favourite media sources and let them know about your product. It’s more impactful if it’s coming from someone who they trust. - Social Media. If all else fails why not do a social media push. Paying Instagram or LinkedIn to push your content to a wider audience could help build your influence. But make sure your content is good. - Keep sharing your content. Obviously don’t overdo it, but experts believe sharing content 3/4 times over 1 month will drive engagement without too much annoyance from customers. - Link your content, make sure you mention your old posts, and show links on your page. Your customers might want to see more!